You can never have enough speed when it comes to the operating systems and even though Windows 7 is the fastest ever produced by Microsoft, there is always room for improvements. 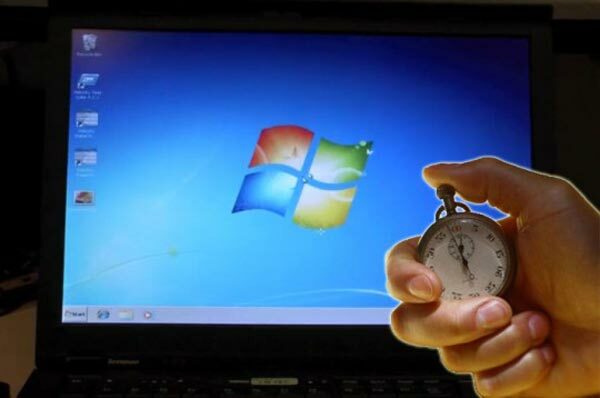 There are some tricks you should use if you want to increase the speed of Windows 7 and the best thing is that it won’t cost you anything to try them out. There are several advanced system optimizers that can help you tackle a large variety of problems and speed up your computer, but we won’t talk about them right now. The alternatives to these software are some easy to implement measures that will sped up your Windows 7 . The first on the list are the startup services, which are nothing more than a bunch of programs that are being launched each time we boot the computer. This is the first sign that the computer is not working as fast as it used to, and the solution can be found in the Start menu, by typing msconfig. You will be presented with a list of programs that are being automatically launched when you start the PC and as you’ll quickly discover, most of them can be postponed. Once these programs are pushed out of the way, the first signs should appear when you start Windows, but there is no reason to stop with the tweaks now. Microsoft first created the ready boost service for Vista and due to its success it is available in Windows 7 as well. It allows you to use USB flash drives to speed up the operating system and all you have to do is to specify how much memory of the USB flash drive should be used for this process. Windows 7 was created with the purpose to enhance the user’s experience and this includes not only better and faster access to application, but also aesthetics. Windows transparency might be charming, but if you want to speed up the operating system, then it is time to disable this. It won’t take you more than a few seconds to complete the operating and a simple right click on the desktop will send you to the Personalize section. All you have to do at this point is to choose the active theme and then navigate to Windows color and uncheck Enable Transparency. There are many useful features provided by Windows 7, but you probably only require a small part of them and that’s why you won’t lose anything if you disable the rest. To perform this process you have to go to the Start menu, click on Programs and then select Turn Windows features on or off. If you are already here, why not take another step into this direction and disable the Indexing Service as well. By performing all these processes above you will increase the speed of Windows 7, but you can’t neglect the maintenance part either. Defragmentation is a process that should be performed regularly, as the fragmented drives will take longer when you try to access files. The Windows’ built in tool is good enough to deal with this issue, but if you have a system optimizer then you’ll have a more effective instrument. Some bundles even include a registry cleaner that will further help increasing the speed, but in the absence of such programs these simple tricks should make a significant impact on their own. About Author: This article is provided by Jane Li who writes for topspeedscan.com, a site featuring different tips, including pc speed test and how to increase your pc speed . This article is provided by Jane Li who writes for topspeedscan.com, a site featuring different tips, including pc speed test and how to increase your pc speed . It lets you use USB flash drives to speed up the operating system and all you have to do is determine how much memory is a USB flash drive is used in this process.